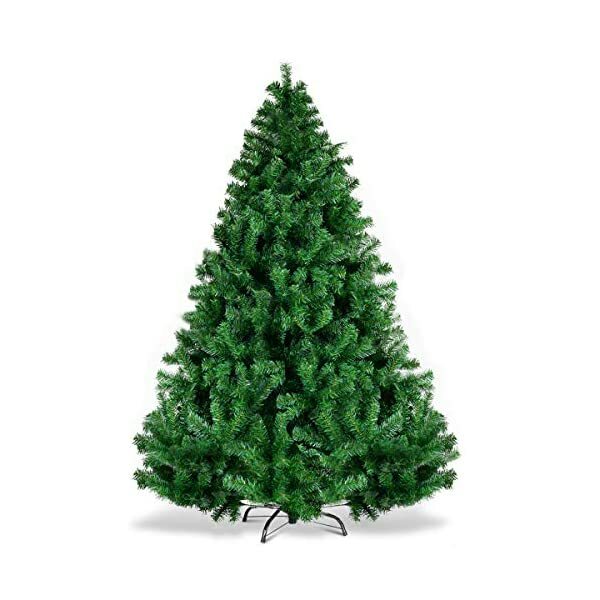 Eye-catching Design – Thick metal trunk and stand of this christmas tree makes it possible that the tree can stay straight. 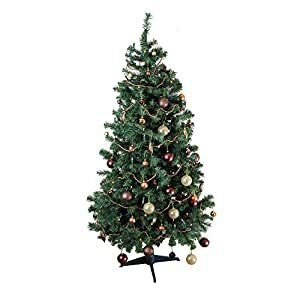 This 6FT christmas tree surely can be an eye-catching addition to any room during the holidays. 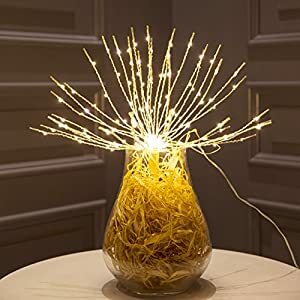 It can add more excitement to your life. 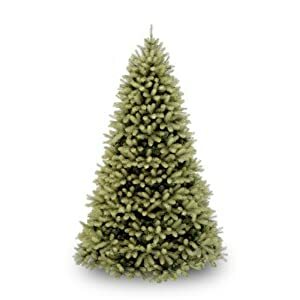 Dense and Realistic PVC Needles – The blades of this christmas tree are made of high-quality PVC, making it look more real and full. 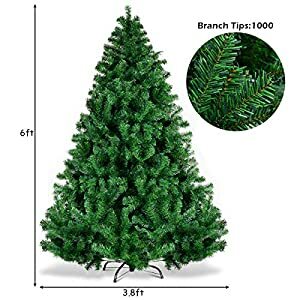 And the 1000 branch tips help emulate a real Christmas tree. 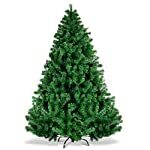 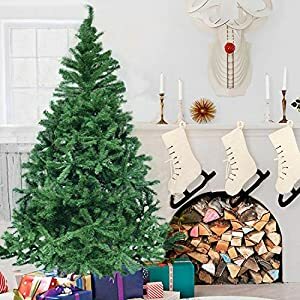 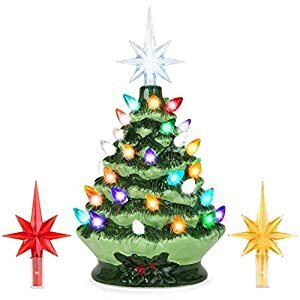 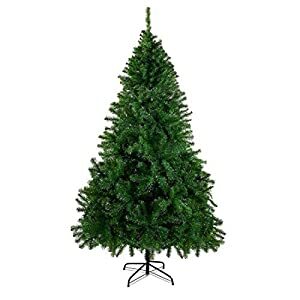 Sturdy Iron Stand – Goplus christmas tree uses metal stand instead of cheap plastic stand, the iron stand can absolutely provide stronger support for the christmas tree and ensure stability. 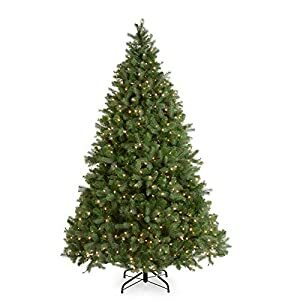 It can serve you for a long time. 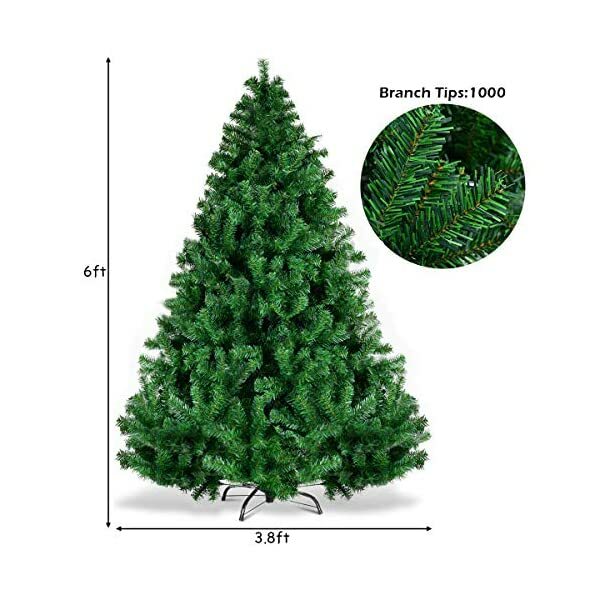  Easy to Assemble – To finish the assembly of this tree it requires only few steps. Our christmas tree is separated into three sections which allow for easy assembling, dismantling, and storing. 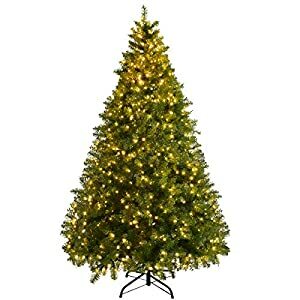 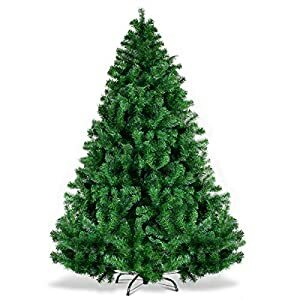 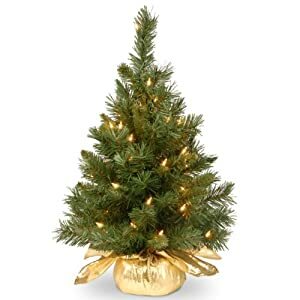 Unlit Tree – This is a unlit tree, except for the full branches and blades, there no extra decorations on the tree. 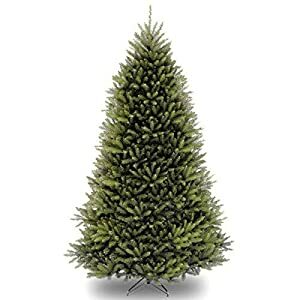 We leave the imaginations of decorating to you and your family.